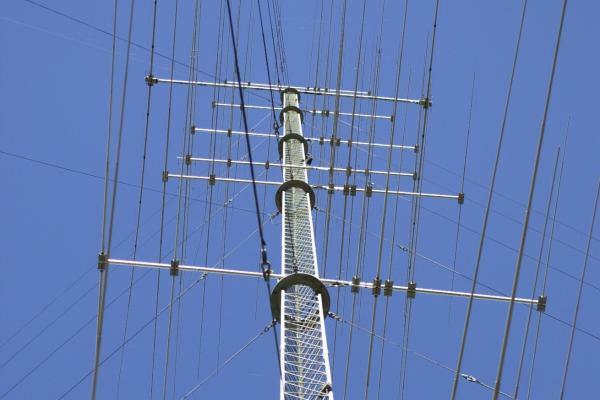 When we – Force 12 and InnovAntennas America – needed towers for our antenna test range and club station W0LFA in Glade Park, Colorado, we looked no further than AN Wireless. We do rigorous, real-world testing of all our new computer-optimized designs and thus we needed towers than could manage all types of antennas, from small to very large, and rugged enough to handle Colorado mountain weather and constant “on tower” activity. ANW towers don’t require guying, a huge plus when installing or removing antennas, which we do dozens of times each year. We love the strength and stability of the modular ANW designs and are planning on adding a third ANW tower in 2016. In August 2015, Dan Simmonds, KK3AN, of AN Wireless Towers visited long time friend Bill Hein, AA7XT at the Force 12 manufacturing facility in western Colorado, as well as the nearby Force 12 antenna test range. “Force 12 is already intimately familiar with our towers, as two of them have been in use by the company as antenna supports for plotting takeoff angle & antenna resonance”, Simmonds stated. “The ability to offer more of a complete package to Force 12 customers to include their popular products with time-tested AN Wireless self-supporting towers seemed like a logical progression for both companies. We at Force 12 look forward to offering AN Wireless towers to our antenna customers and will be creating carefully engineered and specially priced antenna + rotator + tower bundles.